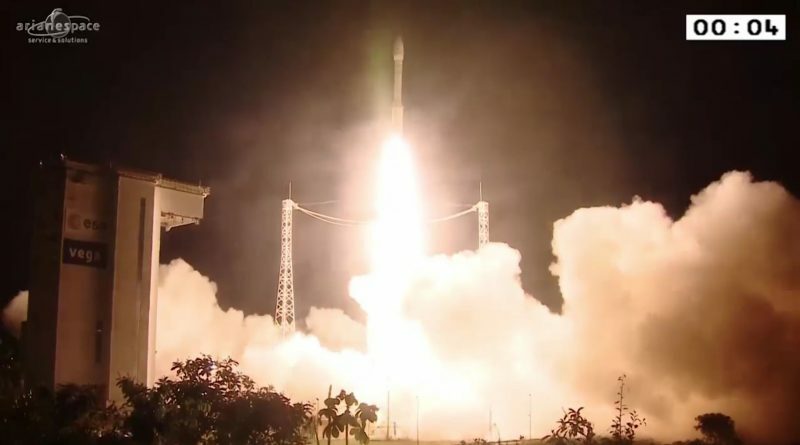 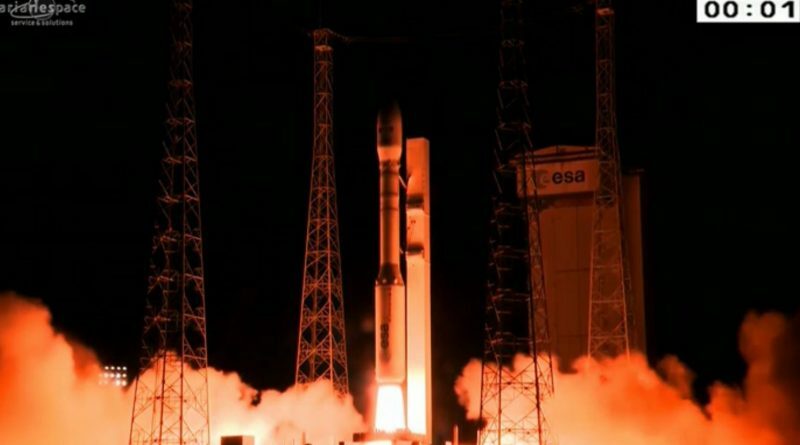 Europe’s Vega rocket thundered into the night skies over the Guiana Space Center on Thursday to lift into orbit a high-resolution imaging satellite for operation by the government of Peru plus a group of four Earth observation satellites for Google company Terra Bella. 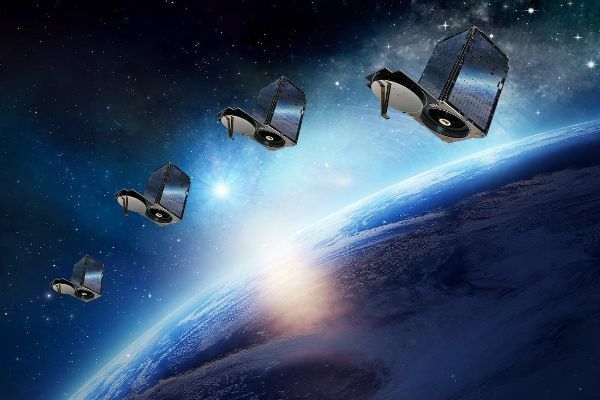 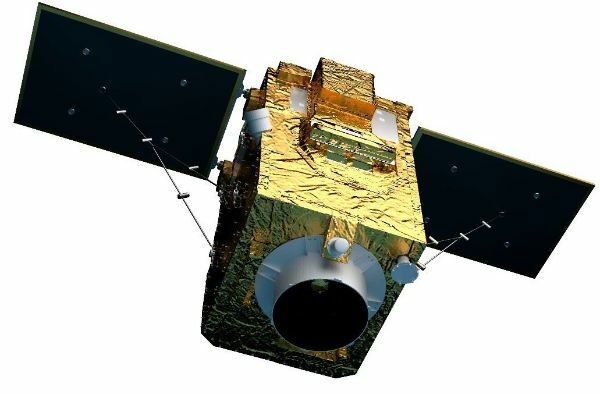 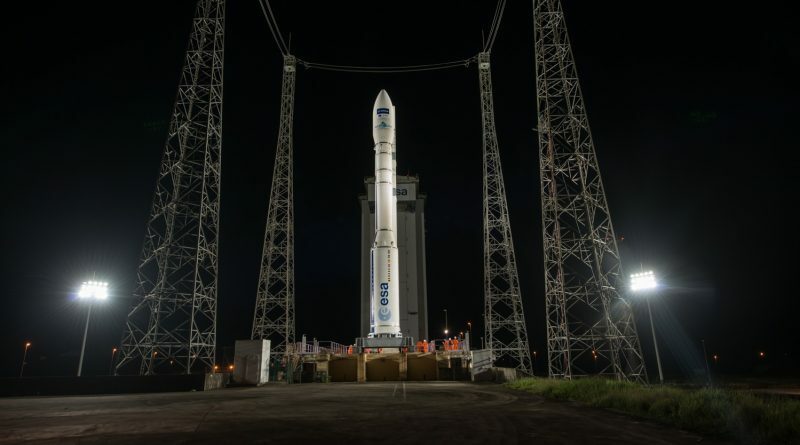 Europe’s Vega rocket has been cleared for a nighttime liftoff from the Guiana Space Center Thursday night, lifting into orbit the first high-resolution Earth-imaging satellite for Peru plus four small-sized Earth observation satellite operated by Google subsidiary Terra Bella. 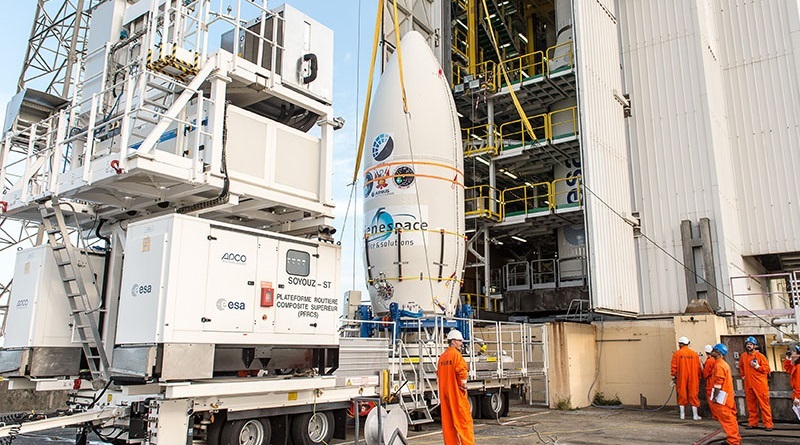 Europe’s Vega Rocket takes shape at the Guiana Space Center for a September 2016 liftoff with the first Peruvian Earth Observation Satellite plus four SkySat Earth Imaging craft operated by Terra Bella. 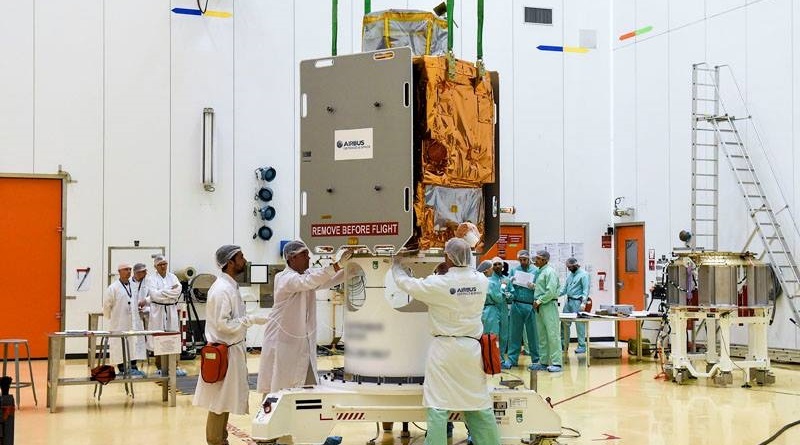 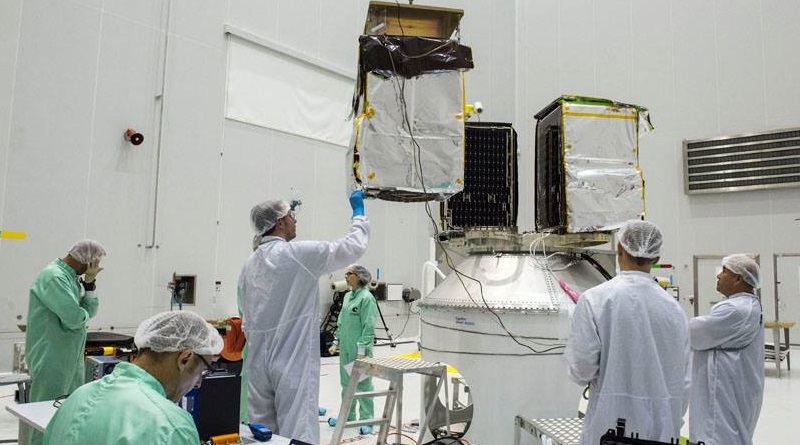 Peru’s first Earth Observation Satellite and four SkySat spacecraft operated by Terra Bella are processed and integrated for a September 2016 liftoff atop Europe’s Vega rocket.